La Chiva Columbian Cuisine at 1417 S. Broadway in Denver features Tingala in the PANELAZO, a sippable, warm mini-cocktail, and the HURACÁN, a frosty, tropical fruit drink. 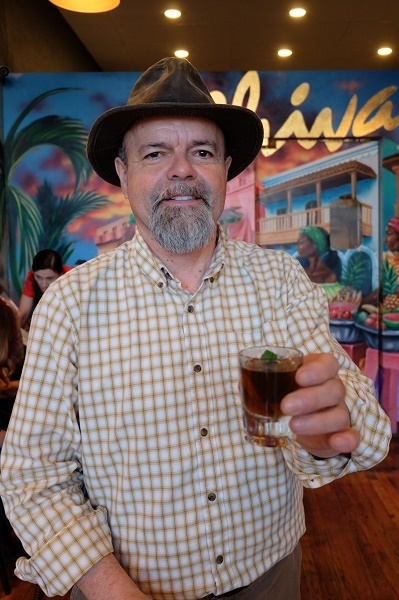 The drinks, popular with restaurant regulars, are versions of traditional South American beverages Yelp: La Chiva/Tingala 2018. Likewise, the spilanthes flower botanical used in Tingala is native to South America. We are honored that proprietor Jorge Aguirre and his family have selected Tingala for the drinks menu of our favorite Colombian restaurant! DIRECTIONS: Add ice and mix all ingredients in a blender. Serve in a large glass with granadina. DIRECTIONS: Pour .75 oz. Tingala into a 2 oz. shot glass (or espresso cup). Top off to near the rim with warmed agua de panela. Add 1-2 drops of fresh lime juice. 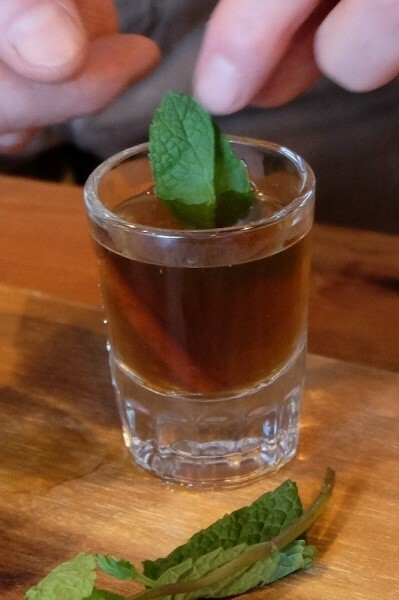 Garnish with a fresh mint leaf and small piece of cinnamon stick. Serve. 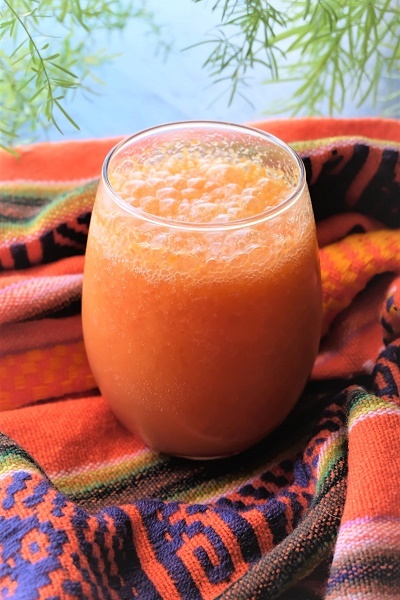 *Agua de panela is a simple syrup made from panela, a flavorful, nutrient-rich whole cane sugar (sold at some Denver area specialty markets). If you have panela, cut off a small chunk, combine in a small saucepan with a few ounces of water. Heat and stir until dissolved, to make to taste. Or substitute brown sugar for the panela, combine 1:1 with water and prepare as above. Also, look for La Chiva’s food truck around Denver and Boulder!